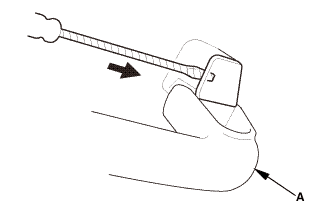 Insert a small flat-tip screwdriver into the notch. 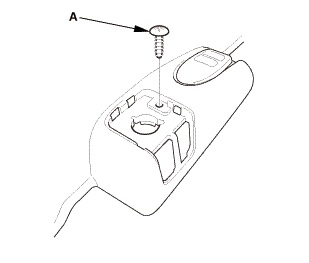 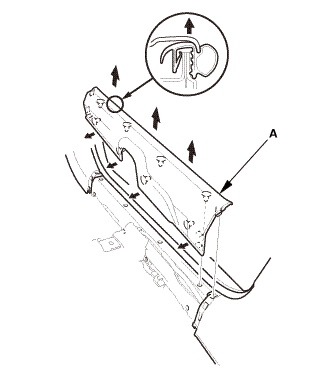 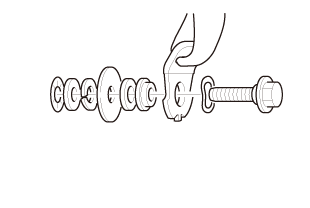 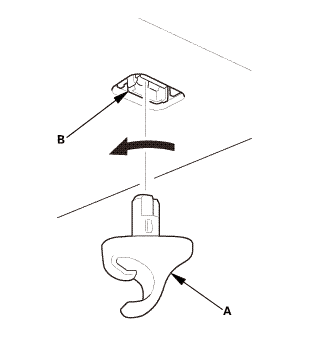 Pull on the small flat-tip screwdriver with the appropriate trim tool (A), then remove the cap (B). 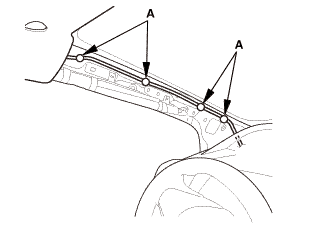 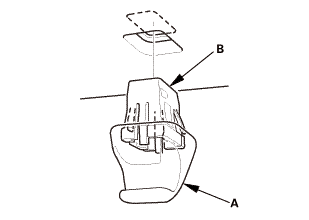 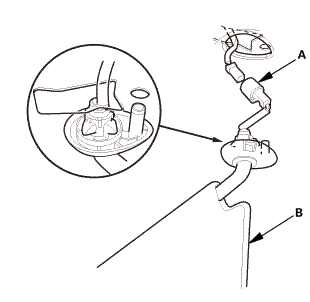 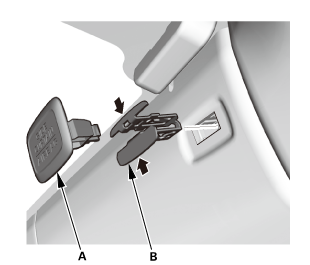 From the right quarter pillar, disconnect the connector (A), and detach the harness clip (B). 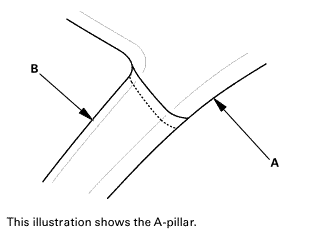 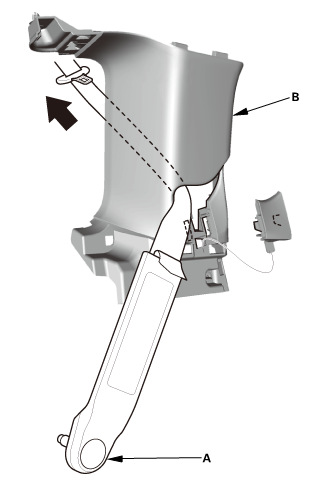 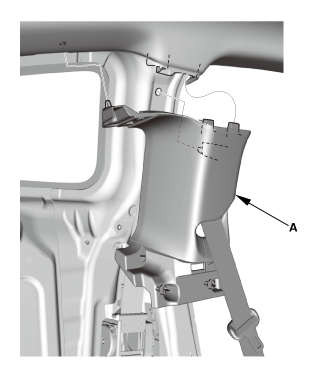 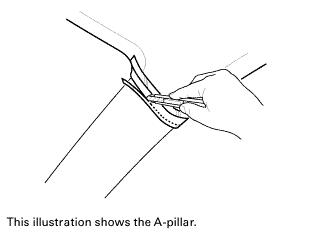 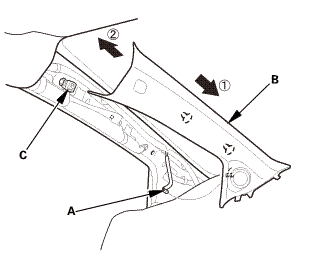 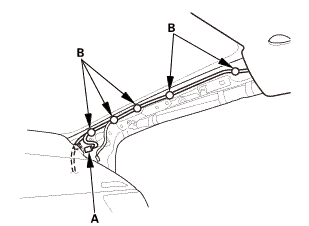 With navigation: From the left quarter pillar, remove the cover (A), and disconnect the terminal (B), then remove the bolt (C). 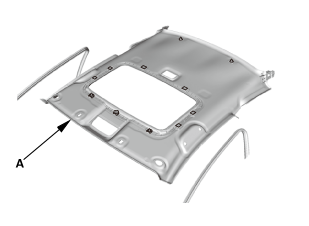 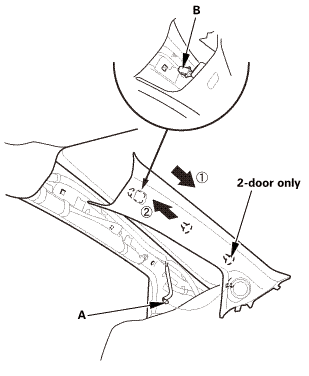 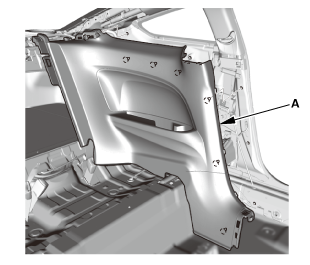 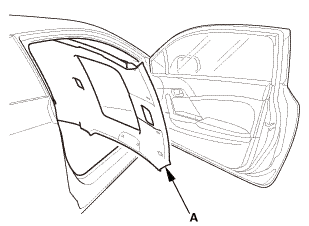 With the help of an assistant, remove the headliner (A) through the passenger's door opening. 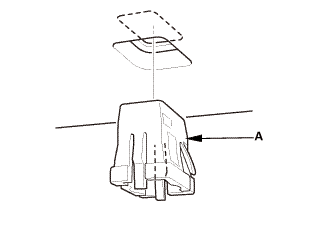 Remove the XM antenna (A). 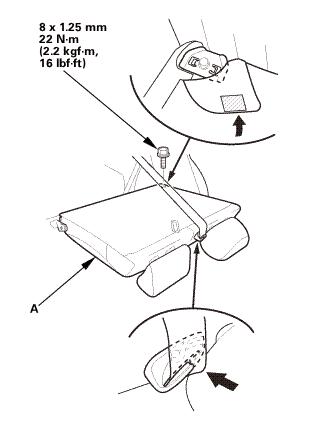 Install the XM antenna (A). 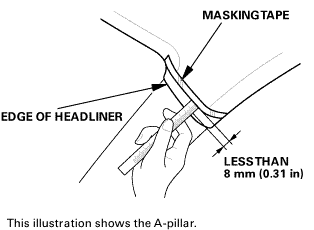 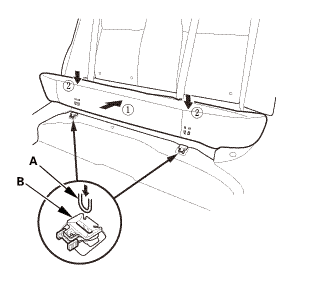 With the help of an assistant, take the headliner (A) in through the passenger's door opening. 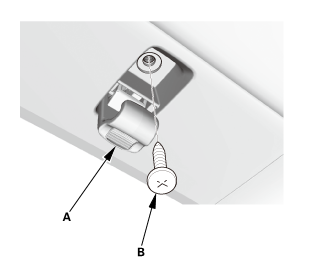 With navigation: At the left quarter pillar, connect the terminal (A), and install the bolt (B), then install the cover (C). 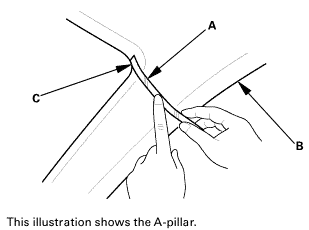 At the right quarter pillar, connect the connector (A), and install the harness clip (B). 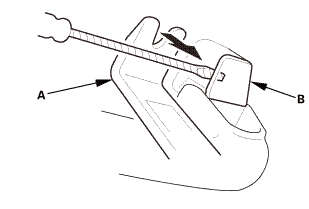 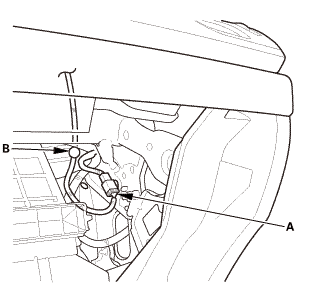 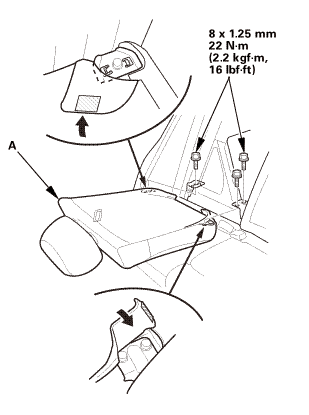 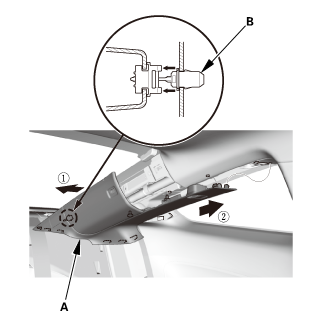 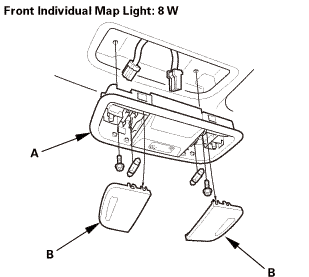 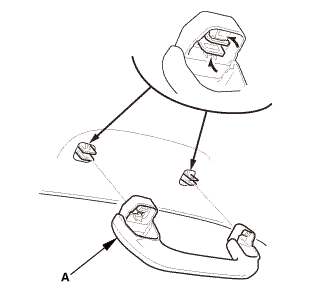 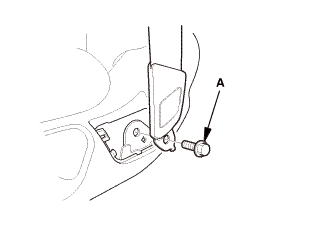 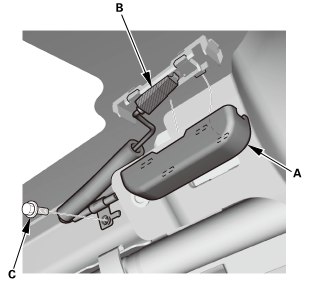 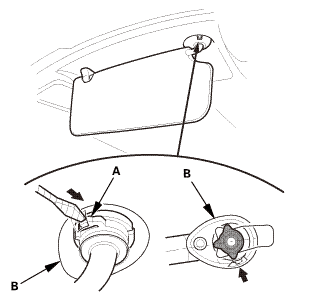 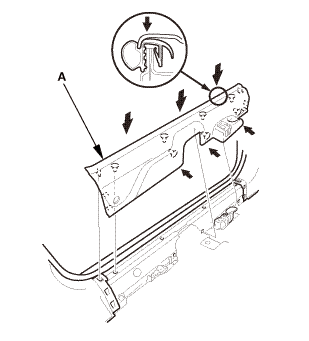 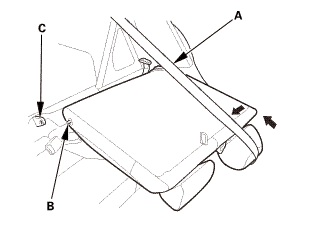 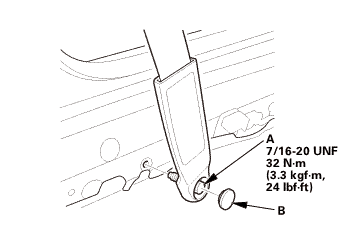 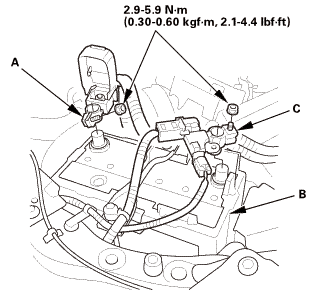 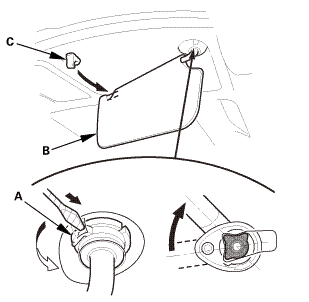 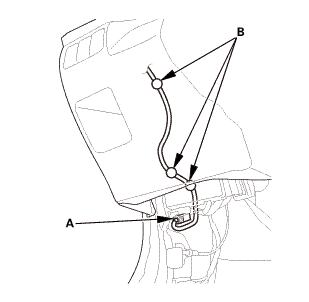 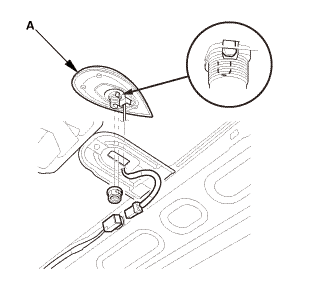 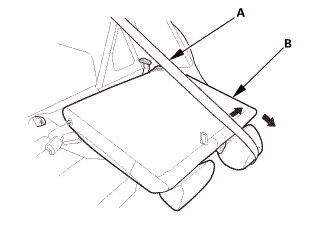 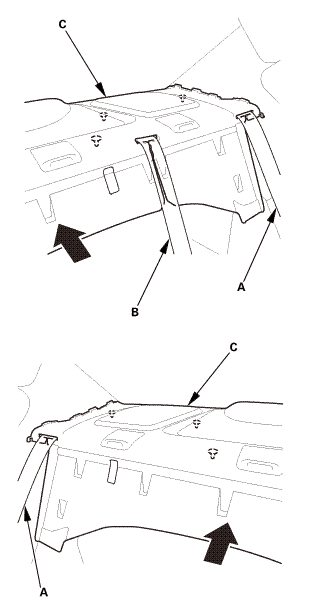 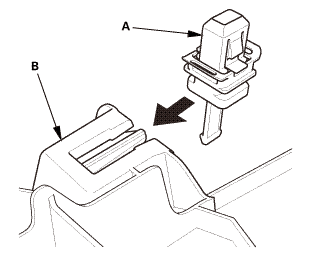 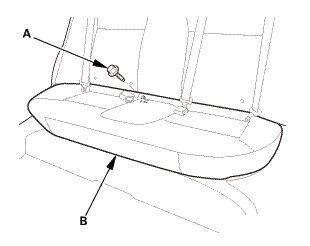 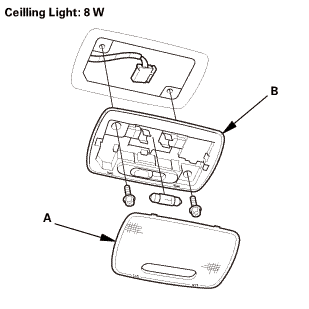 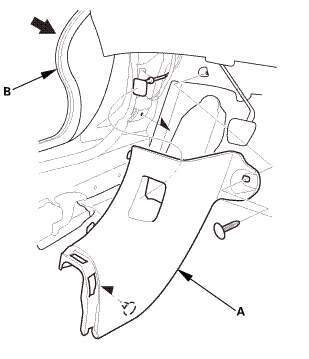 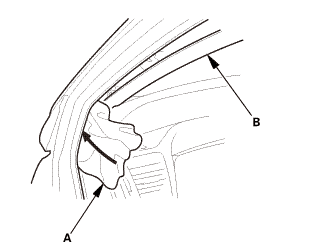 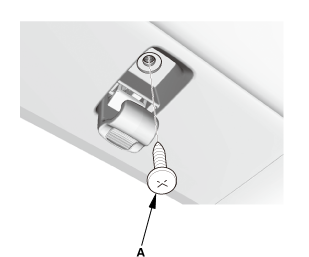 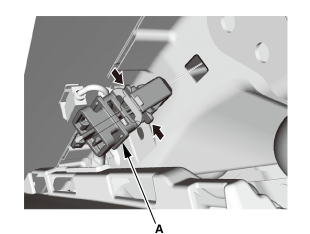 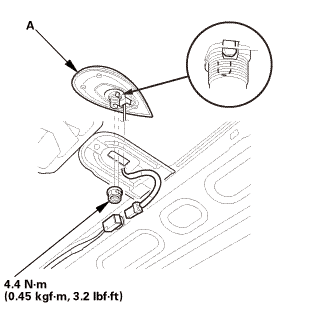 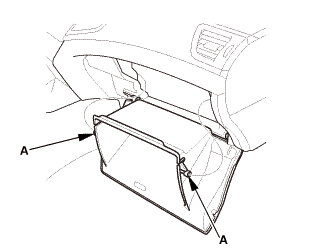 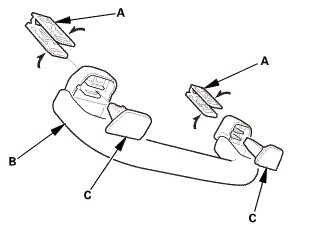 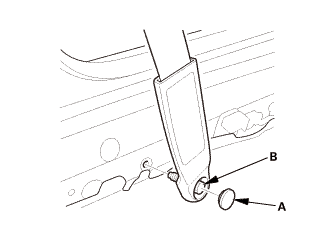 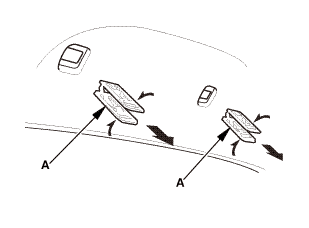 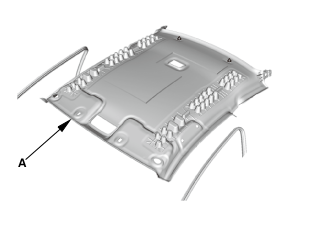 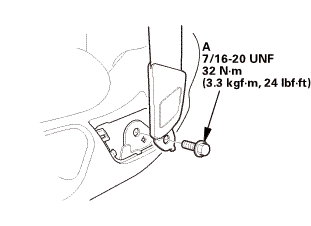 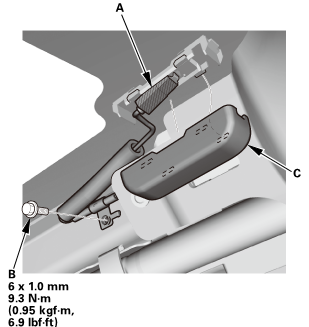 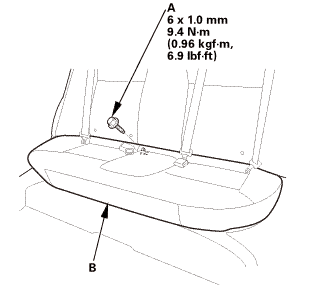 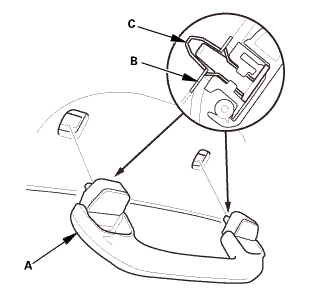 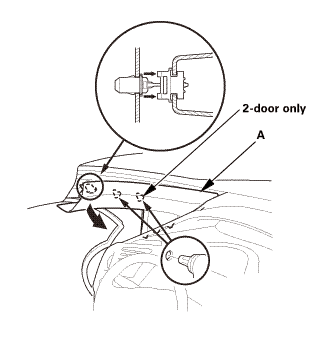 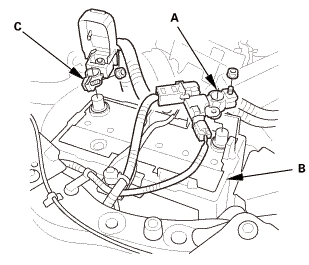 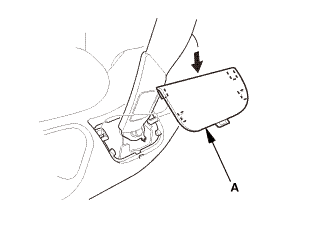 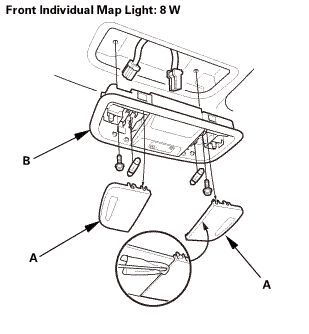 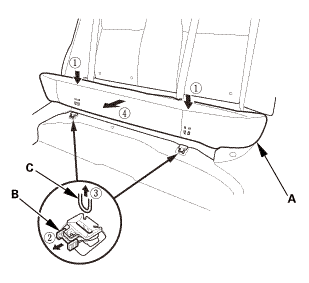 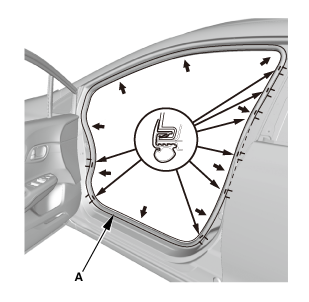 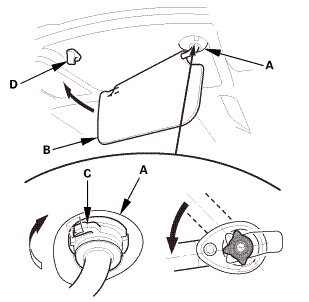 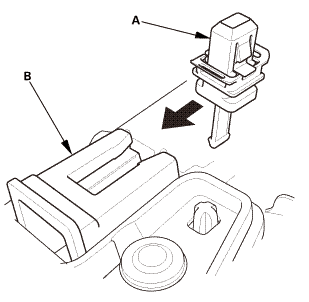 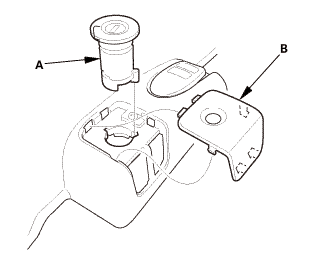 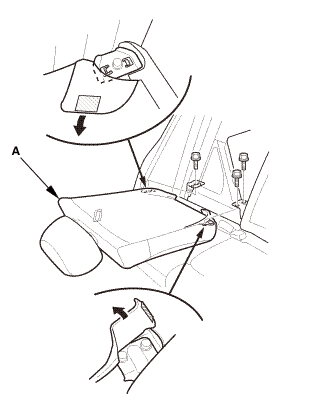 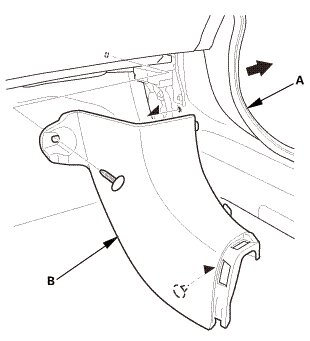 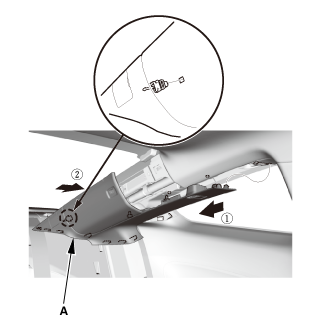 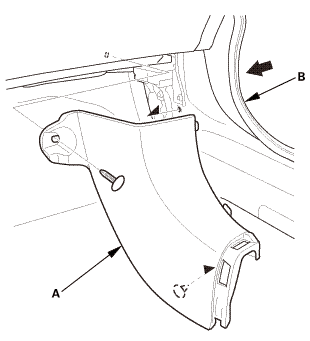 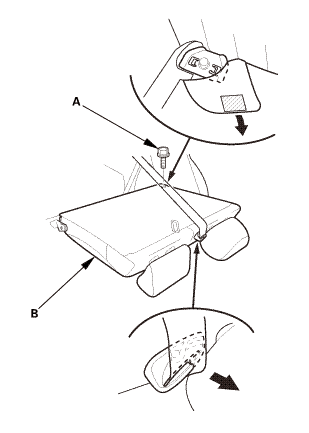 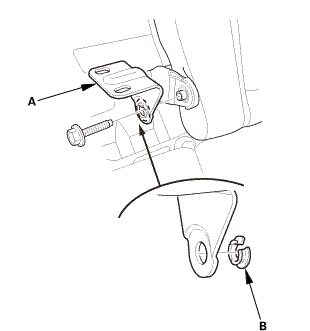 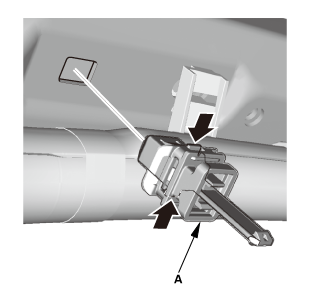 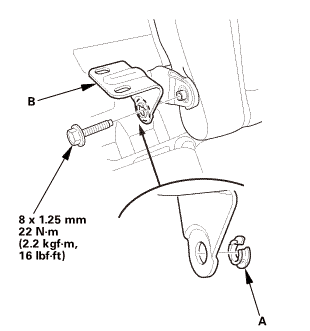 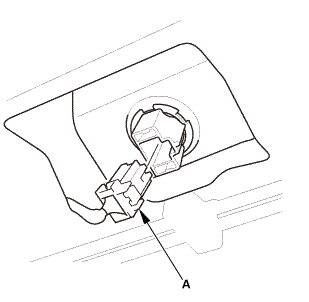 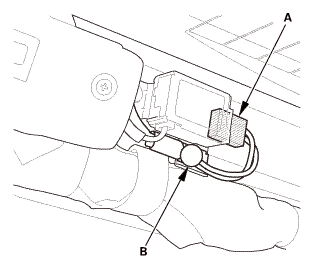 Without moonroof: At under the driver's dash, connect the connector (A), and install the harness clips (B).